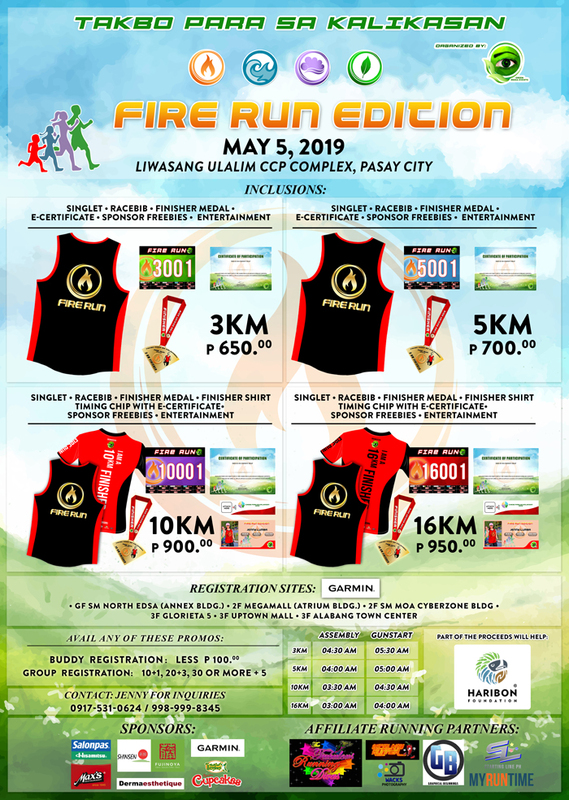 Fire Run Edition is the first leg of Takbo Para sa Kalikasan 2019. This is our 2nd year for doing this activity and we encourage runners to be more pro-active and participate in the plogging activity (eco-friendly work out). 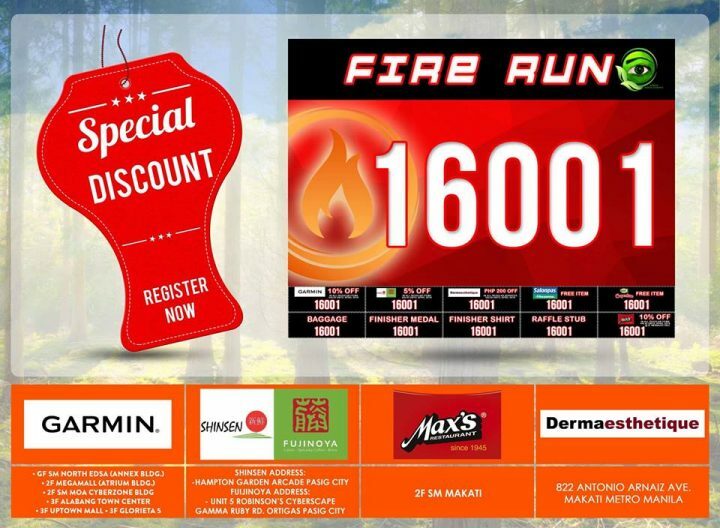 This is a fun run that creates Global warming awareness, promotes health and wellness and saving mother earth in all simple ways. 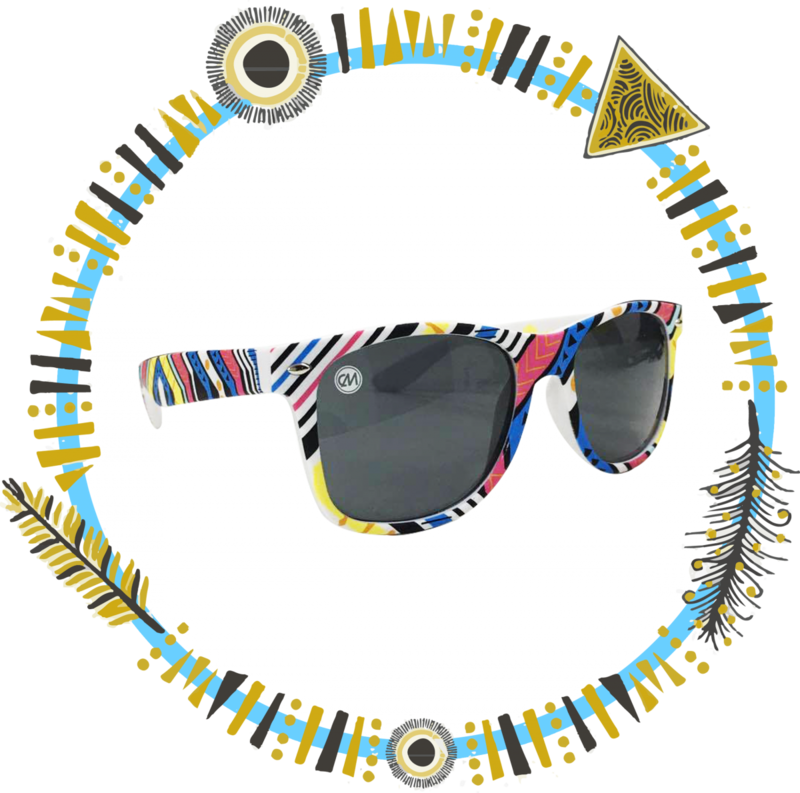 Some of the proceeds will help HARIBON FOUNDATION – our preferred beneficiary. Experience the fun and excitement as fans, families, and friends gather once again for the coolest 5km fun run sure to satisfy your sweet cravings—from ice cream and candies and all the love inspired by Hello Kitty! Love is sweeter the second time around and surely it is! Experience the fun and excitement as fans, families, and friends gather once again for the coolest 5km fun run sure to satisfy your sweet cravings from ice cream and candies and all the love inspired by Hello Kitty Sweets Wonderland! Each registrant will receive a race shirt, race bag, race bib and a finisher’s medal. EVERYBODY LOVES A GOOD DEAL! 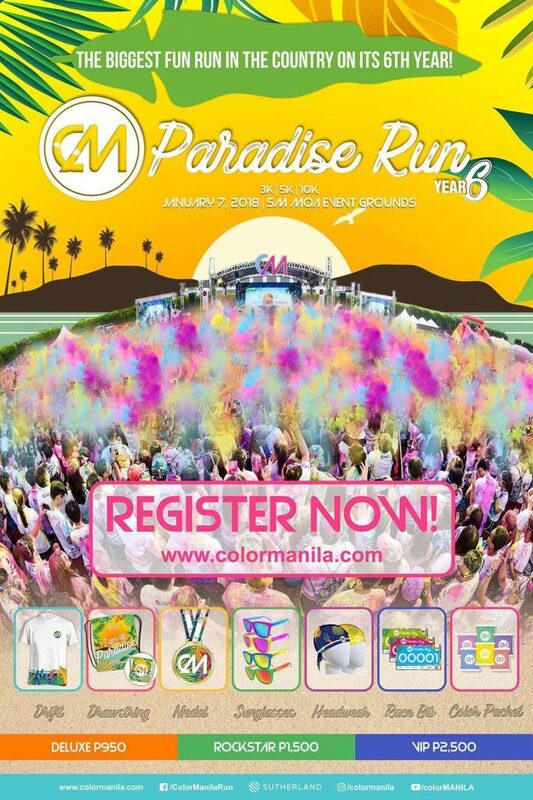 In celebration of Color Manila’s 6th year, we are bringing paradise to your 3K/5K/10K/21K run! 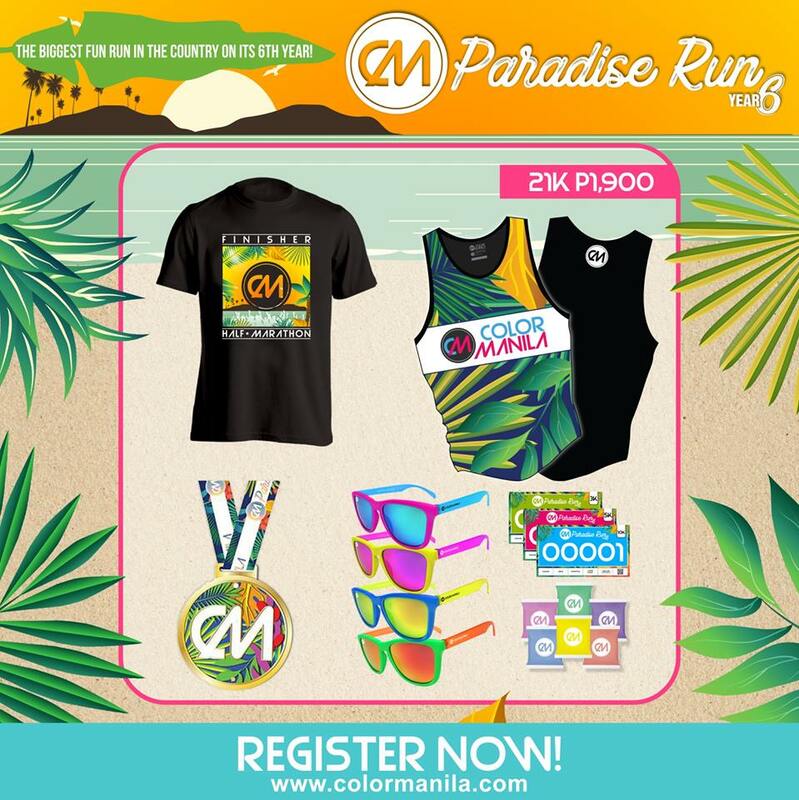 Start 2018 the healthy and happy way through CM Paradise Run! 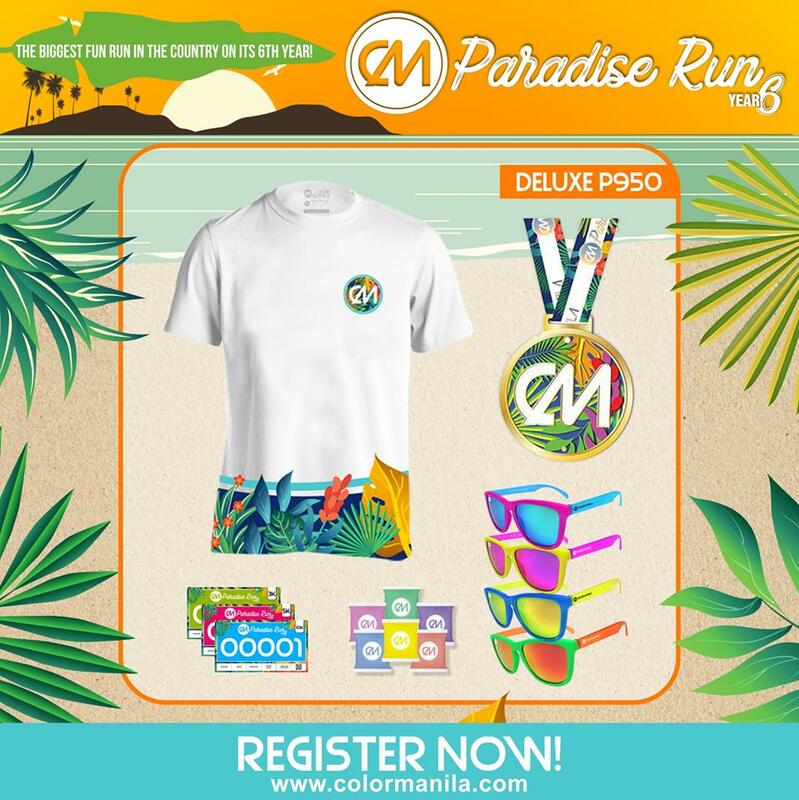 Happening on January 7, 2018, from 3:00 A.M. to 9:00 A.M., at the SM Mall of Asia Event Grounds, CM Paradise Run is going to be a fun-filled and colorful run that you and the entire family would not want to miss! Moms and dads, we kid you not when we say your kids can run for FREE! Hurray! 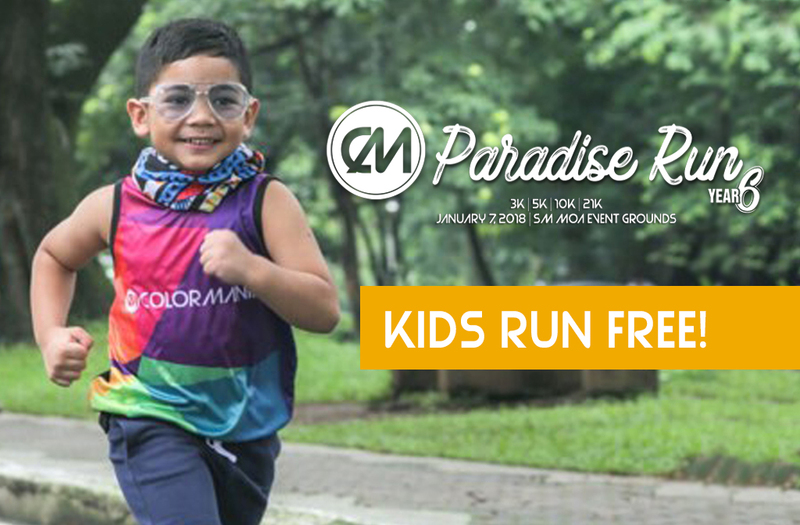 Make CMR6 Paradise Run a family affair and experience PARADISE together by signing your little ones up for CMR6 Paradise Run, happening on January 7, 2018, at the SM Mall of Asia Event Grounds! Kids/children until 7 years old. Should be accompanied by a registered parent or guardian for the said event. 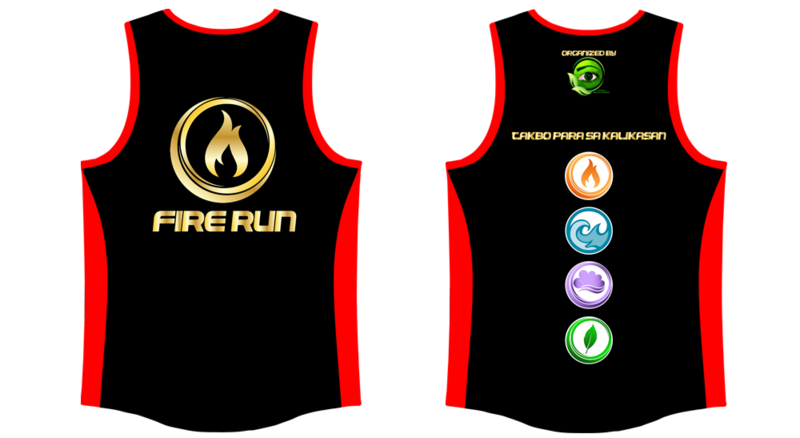 Kids will receive a CMR6 Paradise Run Race Bib only. 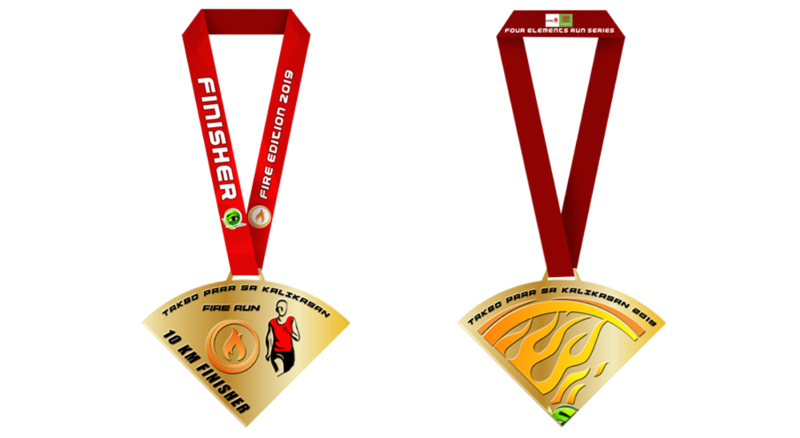 No complete race kit shall be given and they will not be allowed to claim a finisher’s medal. They may, however, claim hydration and a color packet. All Race Bibs will be marked to identify the runners as KIDS. They are not transferable to other runners, both adults or kids. WHAT DISTANCE CAN THEY JOIN? All kids registered for this can only join the 3K distance. Kids will not be permitted to cover 5K, 10K, and 21K distances. The family that runs together stays together! 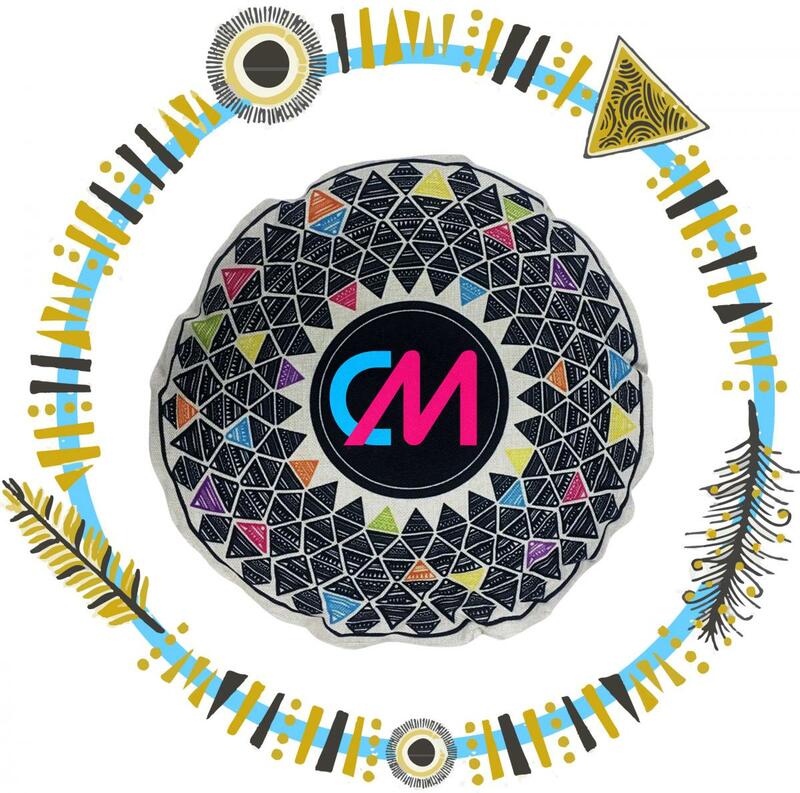 Bring your kids with you to CMR6 Paradise Run! 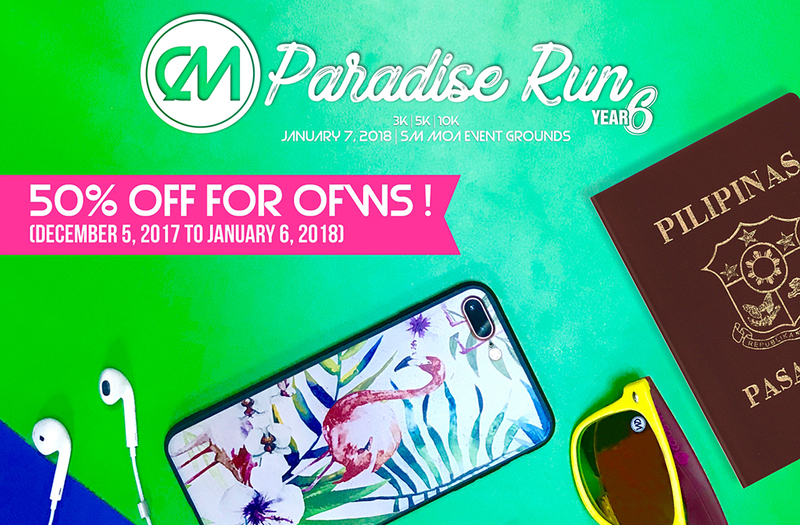 All OFWs are entitled to avail CM Paradise Run prepaid cards at 50% off from December 5, 2017 to January 6, 2018. 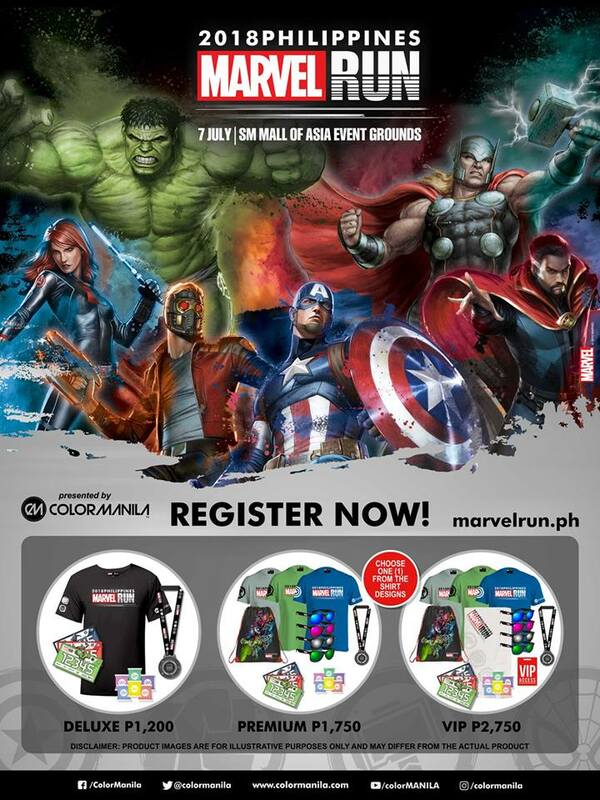 The CM Paradise Run prepaid card must be registered to our website to complete CM Paradise Run sign up. Participating OFWs must purchase a Deluxe or Rockstar prepaid card at the 2nd Floor of R.O.X. (Recreational Outdoor eXchange) – 7th Avenue, Bonifacio High Street, Fort Bonifacio Global City, Taguig, from December 5, 2017 to January 6, 2018, from 11:00 A.M. to 8:00 P.M.
DELUXE– Discounted rate: P475 (Regular rate: P950) Dri-FIT Shirt, Sunglasses, Race Bib, Color Packet, Finisher’s Medal. 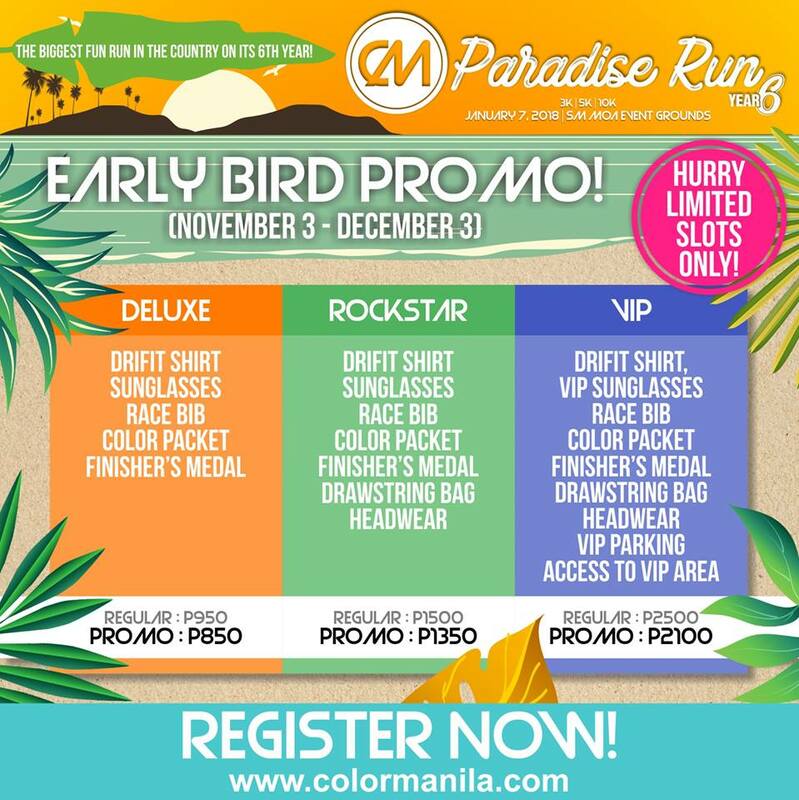 ROCKSTAR– Discounted rate: P750 (Regular rate: P1,500) Dri-FIT Shirt, Sunglasses, Race Bib, Color Packet, Finisher’s Medal, Drawstring Bag, Headwear. The prepaid code found in the prepaid card must be registered at the CM registration site, trackoval.net, on or before January 6, 2018. The participant can only avail of this promo once. The offer is not convertible to cash or credit. It may not be exchanged with any other product. 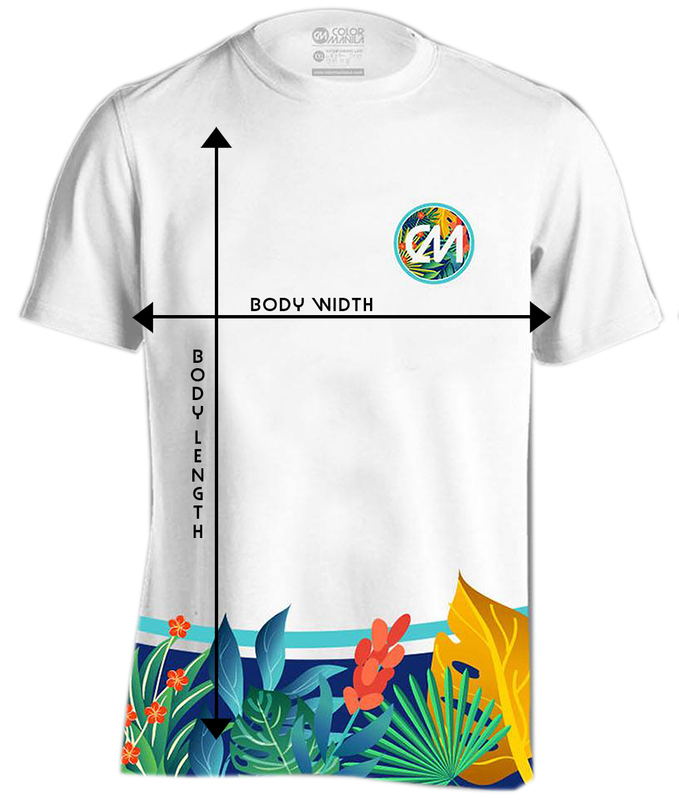 Any dispute concerning the product/s related to the promo offer shall be settled directly between the participant and Color Manila. In case of dispute in respect of Color Manila and the customer’s availment of promo, the decision of Color Manila with the concurrence of DTI shall be considered final. 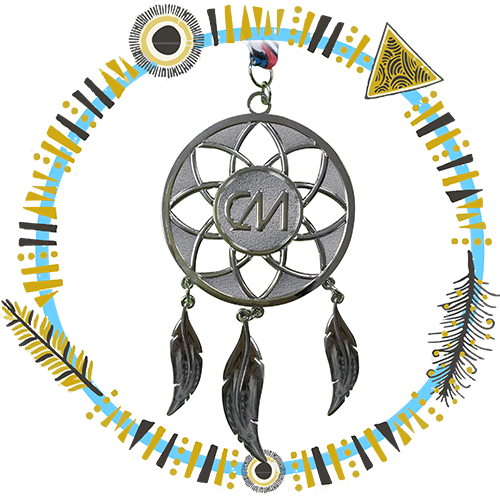 Promo is not valid in conjunction with any ongoing promotions, in-house promo or ad promo, and other discounts. 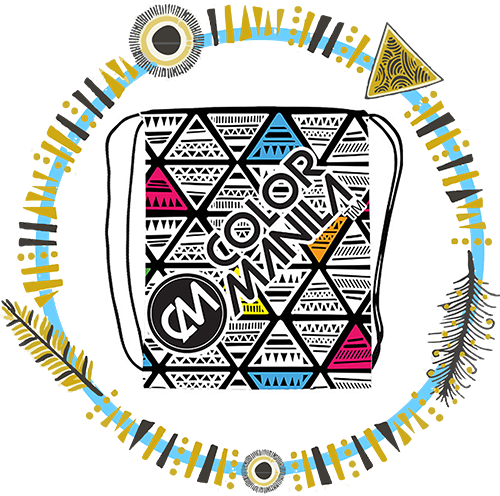 All entries remain the sole property of Color Manila. 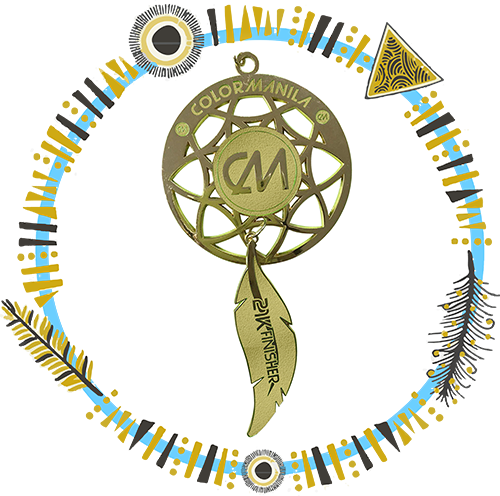 All of the participant’s information is held within Color Manila’s secured database of entries. Except where prohibited by law, participants’ acceptance of the promotion constitutes his/her consent to Color Manila’s use of their name, personal description, likeness and opinions for any promotional, marketing and publicity purposes in any media. Avail of our Buy 4 Take 1 Rockstar Kit promo! 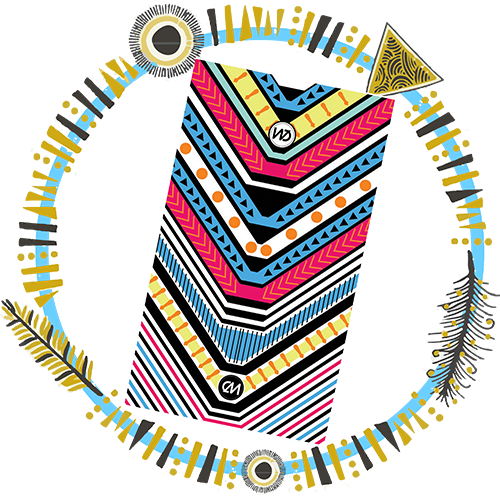 Get one (1) FREE #CMR6ParadiseRun Rockstar kit when you purchase four (4) #CMR6ParadiseRun Rockstar prepaid cards from December 5, 2017 to January 6, 2018. 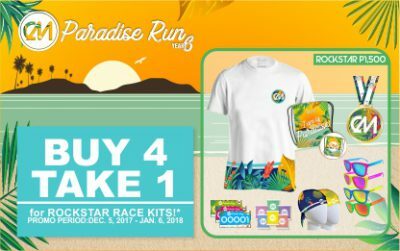 Participants must purchase four (4) #CMR6ParadiseRun Rockstar kits to receive one (1) FREE #CMR6ParadiseRun Rockstar kit. 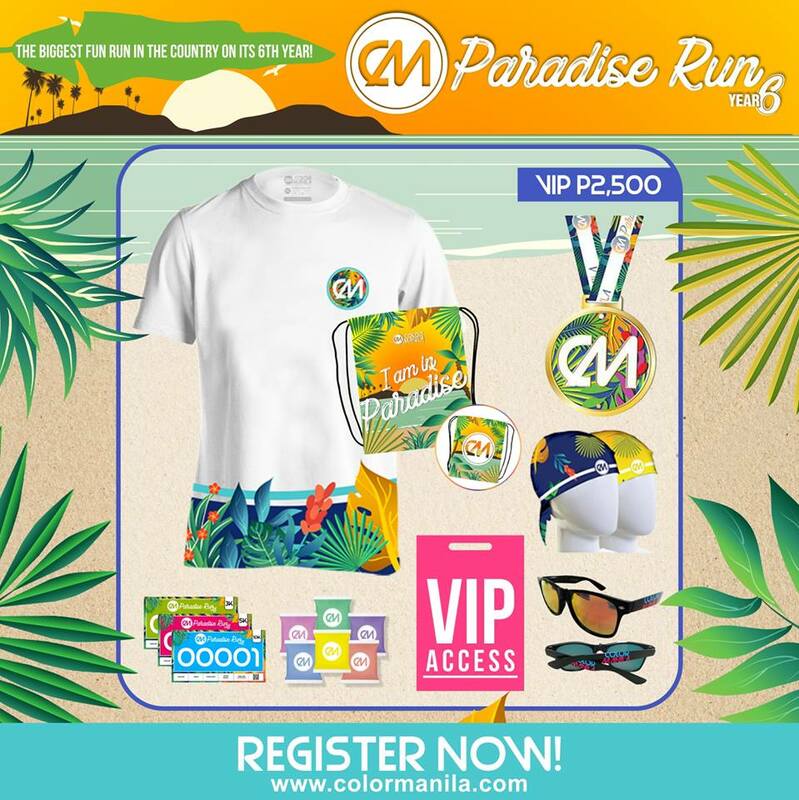 This promo only applies to the #CMR6ParadiseRun Rockstar kit category. The FREE #CMR6ParadiseRun kit will also be under Rockstar kit category. 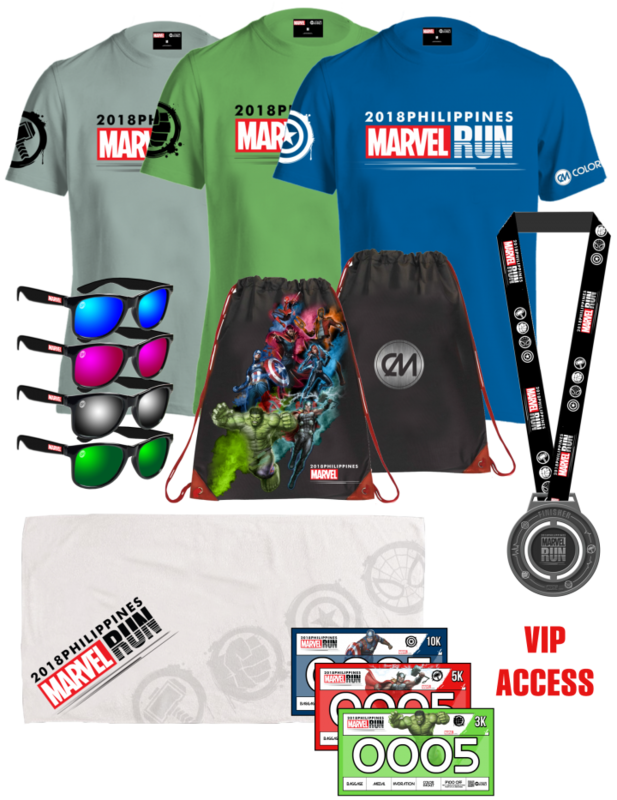 ROCKSTAR– Regular rate: P1,500 (vat inclusive) Dri-FIT Shirt, Sunglasses, Race Bib, Color Packet, Finisher’s Medal, Drawstring Bag, Headwear. Participants must purchase on the 2nd Floor of R.O.X. (Recreational Outdoor eXchange) – 7th Avenue, Bonifacio High Street, Fort Bonifacio Global City, Taguig, from December 5, 2017 to January 6, 2018, from 11:00 A.M. to 8:00 P.M. 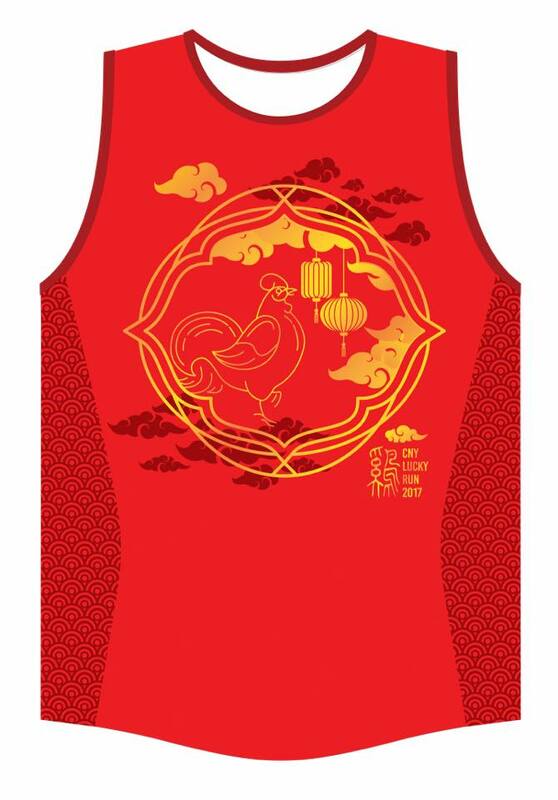 Celebrate Chinese New Year with a Run! 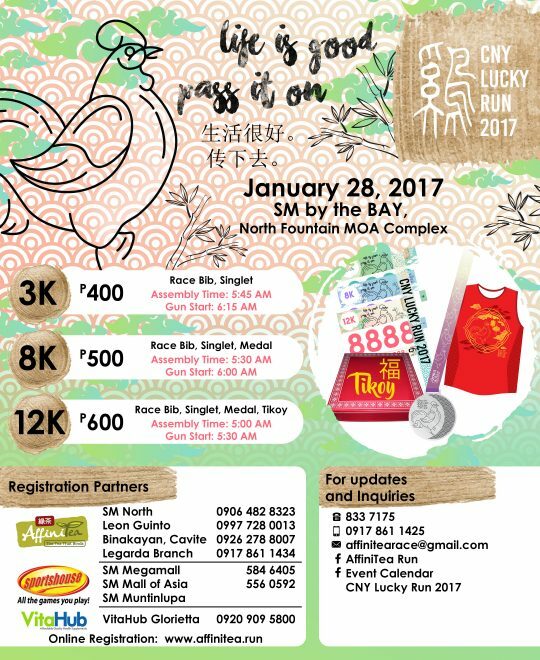 Affinitea is once again hosting the CNY Lucky Run 2017 happening on January 28, 2017 in SM Mall of Asia, By the Bay. 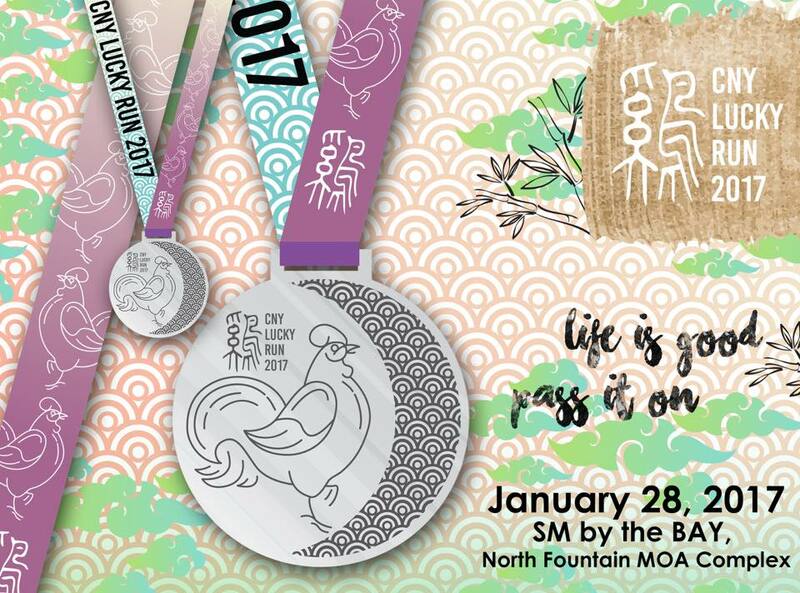 – Inclusive of Singlet, Race Bib, Finisher Medal (8km & 12km only) and Tikoy (12km only). Save the date! 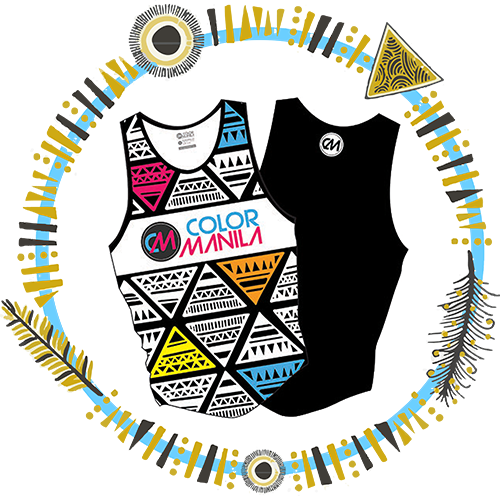 On 08 January 2017, Color Manila Run will conquer Mall of Asia Ground. Lets start the year with a blasting colors. 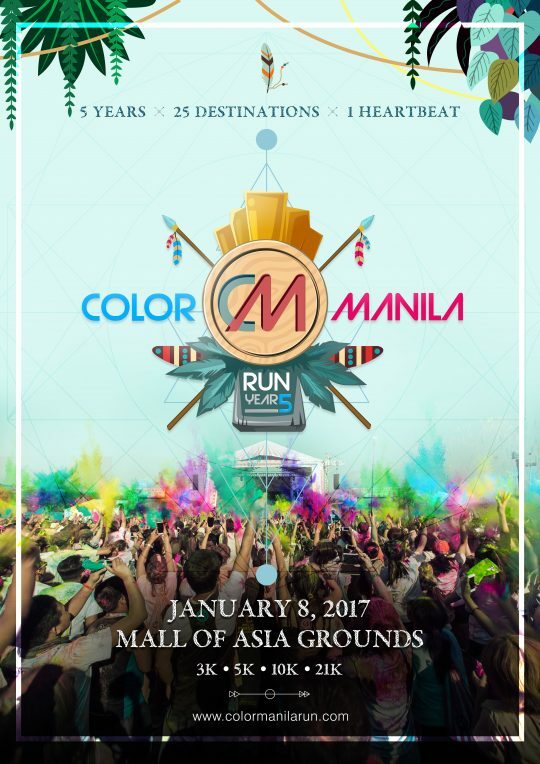 COLOR MANILA RUN – YEAR 5 (CMR5), which will be held on January 08, 2017 at the Mall of Asia (MOA) grounds in Pasay City. It is widely anticipated event for most runners to choose between 3K, 5K, 10K and 21K runs. What Happens During the Run? The program at the activity area will start shortly after the assembly time (so make sure to come on time!). Listen attentively for any last minute reminders and safety precautions, and do the warm up before the actual run. 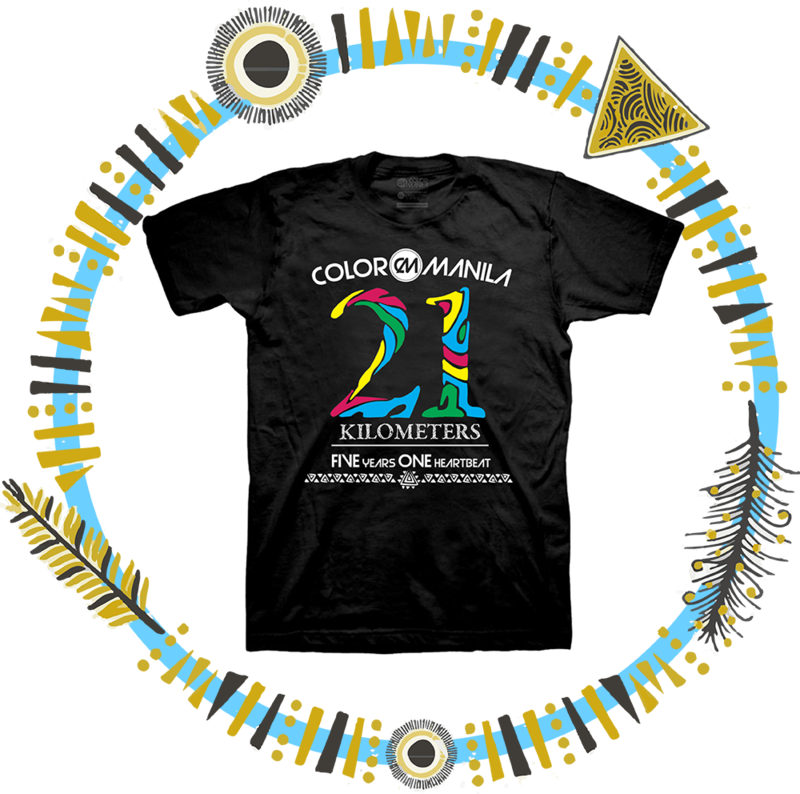 Once everyone’s ready, head on over to the route where you’ll be experiencing lots and lots of colors! Afterwards, the party doesn’t stop there! Return to the activity area where the Color Manila Festival begins! Yes, and we made sure of that! All the ingredients are organic and safe for the body and the environment. We will be using the same safe color powder we always we use, but with a new addition – a glittery powder that shines! However, if you are asthmatic or have trouble breathing in any way, it would be good to consult with your doctor with regards to powder or any athletic event. Can I Upgrade from Deluxe to Rockstar? No. 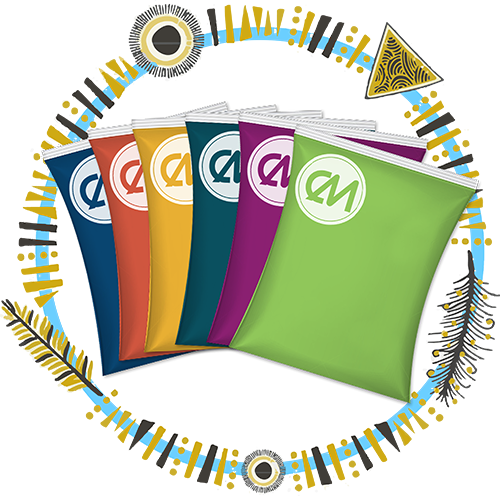 We have a No Refund Policy so be sure to make the right choice upon purchasing your kits. Can I Claim for my Friend? Yes. Kindly prepare an authorization letter, copy of registered runner’s confirmation email, copy of registered runner’s valid ID and representative’s valid ID. 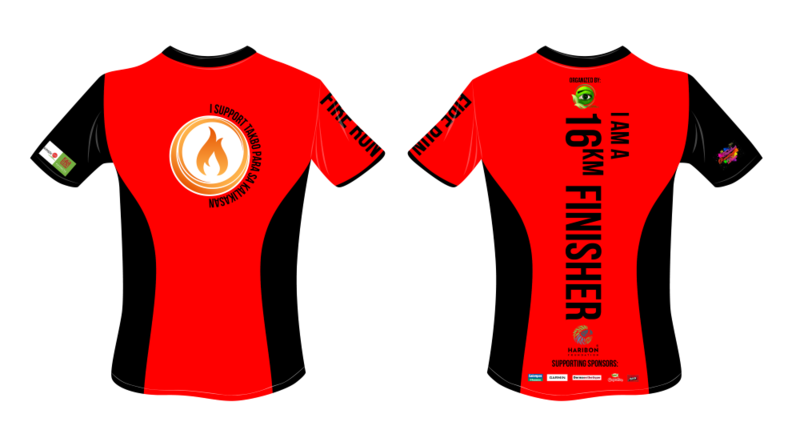 Sizes and color are available are on a first come first serve basis during registration. Reserved sizes cannot be altered during claiming. 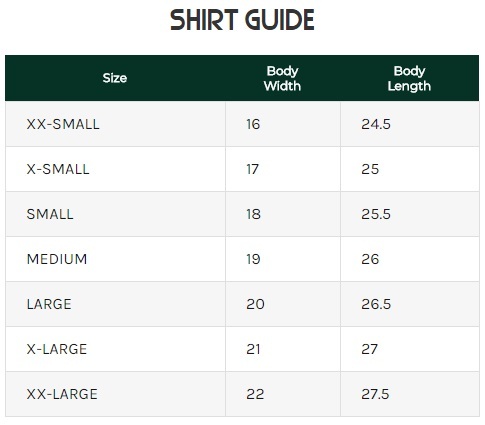 Size chart is provided for reference. Please claim your kits at the chosen kit claiming schedule and venue only. Failure to comply will not guarantee availability of selected race kits. No refund policy shall be implemented. Runners who wish to change their race kits in the form of a refund or additional cash is not allowed. Registration is open until supplies last. Organizer reserves the right to close registration once slots have already been filled up. 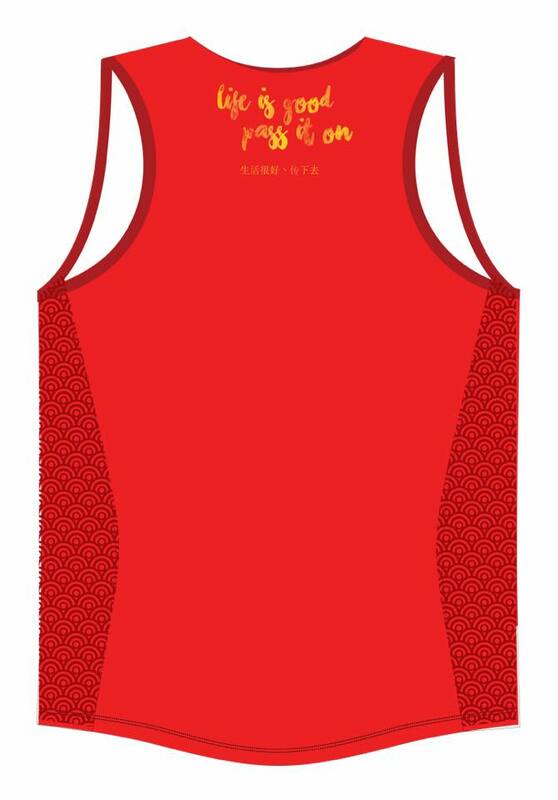 We will not be liable for any loss of race kit once it is claimed by registered runner or representative. We will not be liable for any unregistered prepaid cards and tickets. 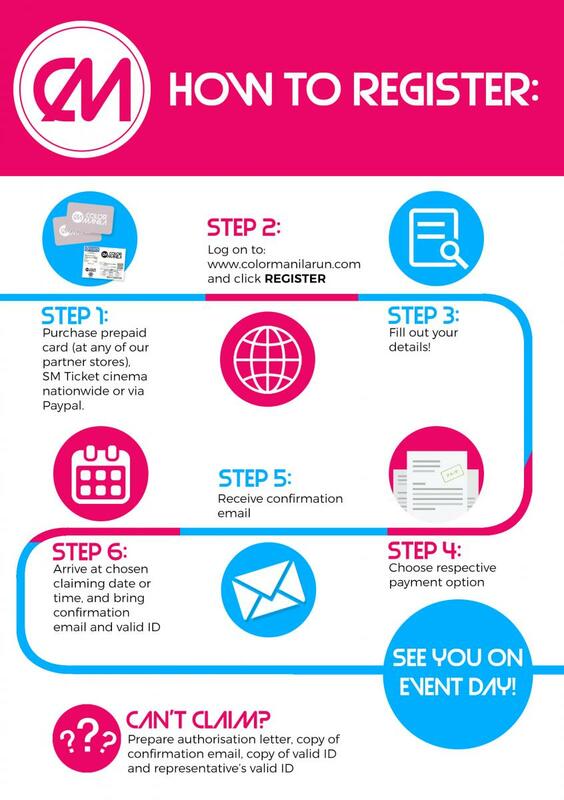 All unregistered prepaid cards and SM Tickets shall be forfeited after event day. Please have your race bib worn at all times during the race event, and have this presented upon claiming finisher’s items. No bib stub, no claiming. 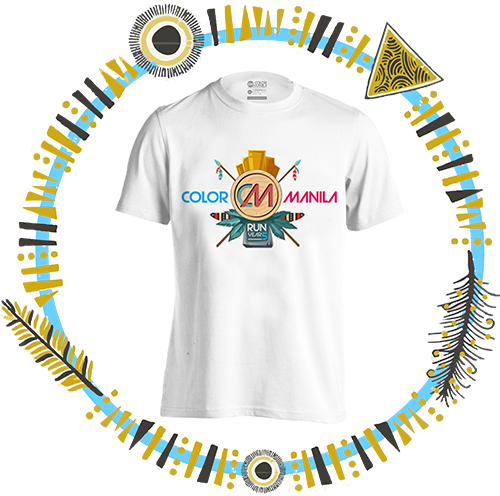 For immediate announcements and/or final reminders, kindly check out our Facebook Page, COLOR Manila Run.